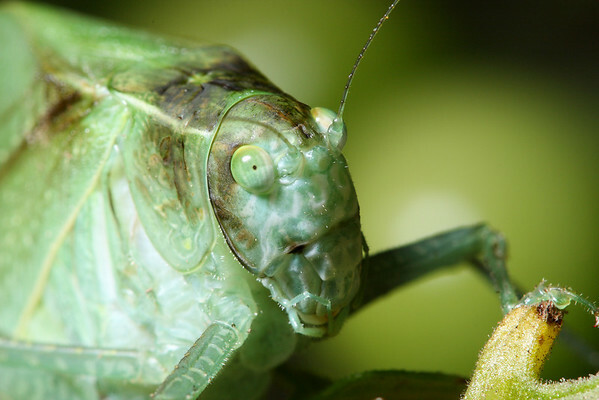 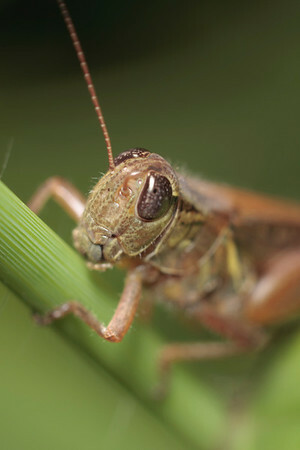 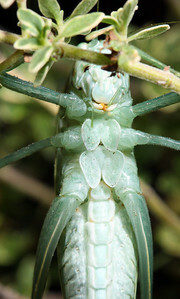 Macro photographs of grasshoppers, crickets, and katydids. 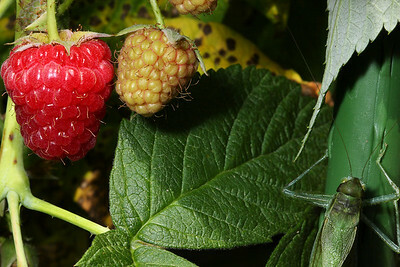 A greater angle-winged katydid (Microcentrum rhombifolium) climbs next to a pair of young raspberries. 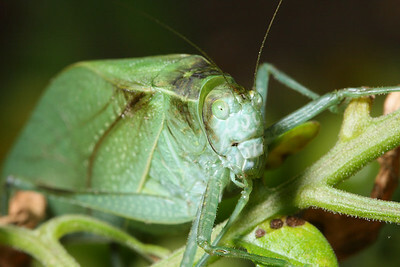 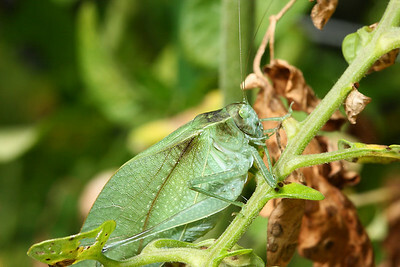 A greater angle-winged katydid (Microcentrum rhombifolium). 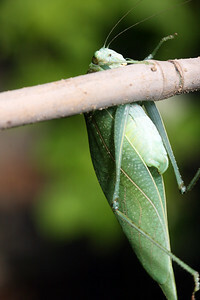 A greater angle-winged katydid (Microcentrum rhombifolium) hangs awkwardly from a stick. 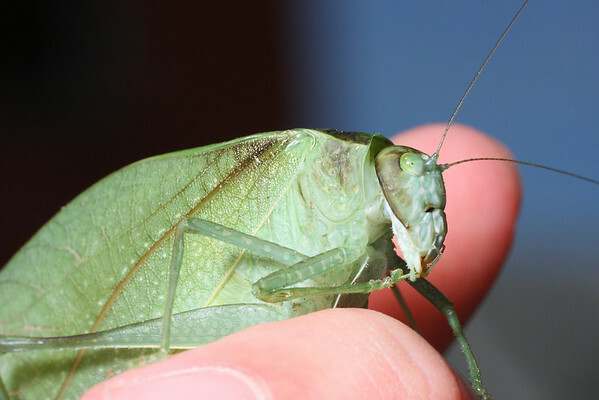 A greater angle-winged katydid (Microcentrum rhombifolium) rests on my fingers. 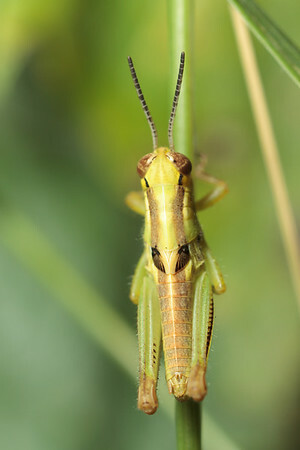 A spur-throated grasshopper clings to a flower stem.